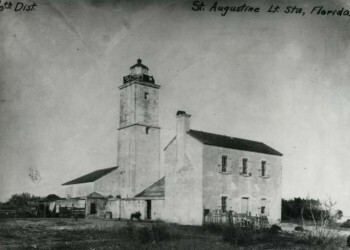 A Spanish watchtower, built in the late 1500's was the predecessor of the present St. Augustine Lighthouse. St. Augustine is the site of the oldest aid to navigation in North America. 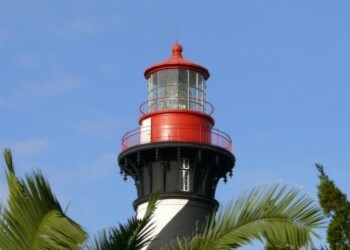 The original watchtower became Florida's first lighthouse in 1824. 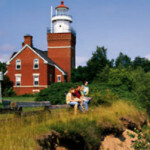 However, by 1870, the tower was threatened by shoreline erosion and construction began on the current lighthouse. The new tower was completed in 1874. The old tower succumbed to the sea during a storm in 1880. 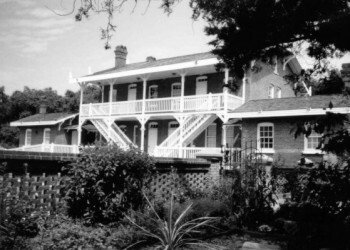 In 1980, the Junior Service League of St. Augustine, Inc. began a fifteen-year campaign to restore the Keepers� House that was destroyed by fire in 1970 and the tower. The house was opened to the public as a museum in 1988. In 1993, the tower was also opened to visitors on a daily basis. 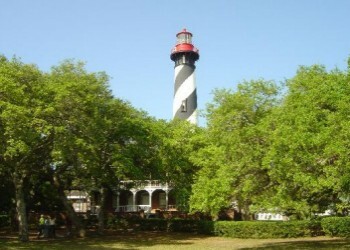 In July 2002, the U.S. Coast Guard, through the General Services Administration, transferred the deed for the tower to the St. Augustine Lighthouse & Museum, Inc. through the pilot program of the National Historic Lighthouse Preservation Act of 2000. In addition, the Coast Guard turned over the first order Fresnel lens to the museum. 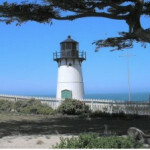 The U.S. government built the current lighthouse by purchasing parcels of land from several owners. One of the land owners, Dr. Ballard, disputed his neighbors over the land deal and some tour guides have reported seeing his ghost. Possibly, Dr. Ballard or even Mr. Andreu still haunt the St. Augustine lighthouse, but there are other stories of tragedy associated with the haunted lighthouse. Hezekia Pittee's daughters, along with an African-American girl, all drowned when the handcart in which they were playing went off the tramway that was built to carry supplies from ships to the lighthouse. There have been reports of ghostly girls being sighted at the St. Augustine Lighthouse, but there is no way to know whether or not they are the Pittee girls or their friend. In fact, no one ever reports the spirit of a third girl being seen. The most credible reports have been of a single girl. 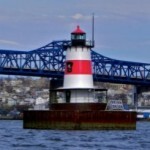 One former keeper spoke often of hearing footsteps following him during his rounds, and also noticed the odor of cigar smoke, possibly from a former lighthouse keeper from whom he was mentored. 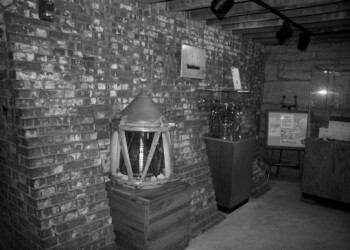 The cigar smoke has been noted by many visitors, usually within the lighthouse tower. Perhaps one of the former keepers is still caring for the lighthouse. 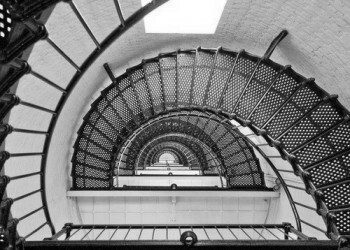 The haunted St. Augustine Lighthouse has other stories to tell. There was a time when the Keeper's House was being rented out as apartments. Tenants would report seeing a young girl dressed in old-fashioned clothing who would appear and then disappear. Several reputable witnesses have seen a girl in and around the house, most often near an upstairs window. 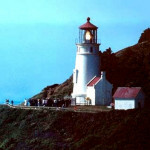 The last lighthouse keeper (during the 1950s) refused to live in the house and traded places with a Coast Guardsman who had been assigned to barracks on-site. The Guardsman's sister related the story by letter of how she and her brother used to laugh about the lighthouse keeper's fear of hearing footsteps upstairs. A figure has also been seen in the Keeper's House basement, and has been dubbed, "The Man in Blue." When the gift shop was located in the house, employees also believed that a ghost they had nicknamed "Andrew" was the cause of poltergeist-like activity. The lighthouse tower itself is also haunted, as many have witnessed hearing both voices and footsteps inside. Employees have reported finding the upstairs door at the top of the tower unlocked, though it had been locked the night before.